Really cool finds that you managed to come into! 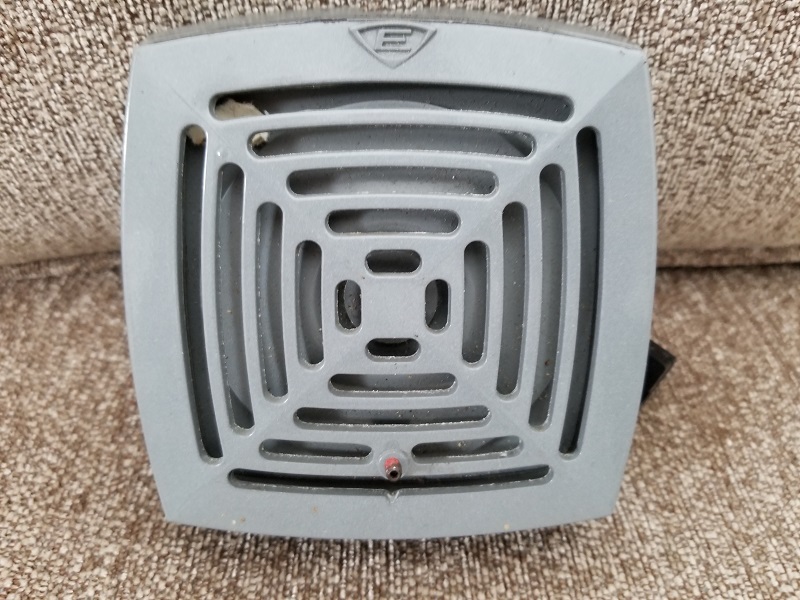 We actually have a model 0914 smoke detector though I'm not sure where it was branded from because i don't think ours has writing on it. Over the last few months, I visited some antique and collectibles close to me, and managed to snag some sweet finds! There will be more devices to post in the coming days. 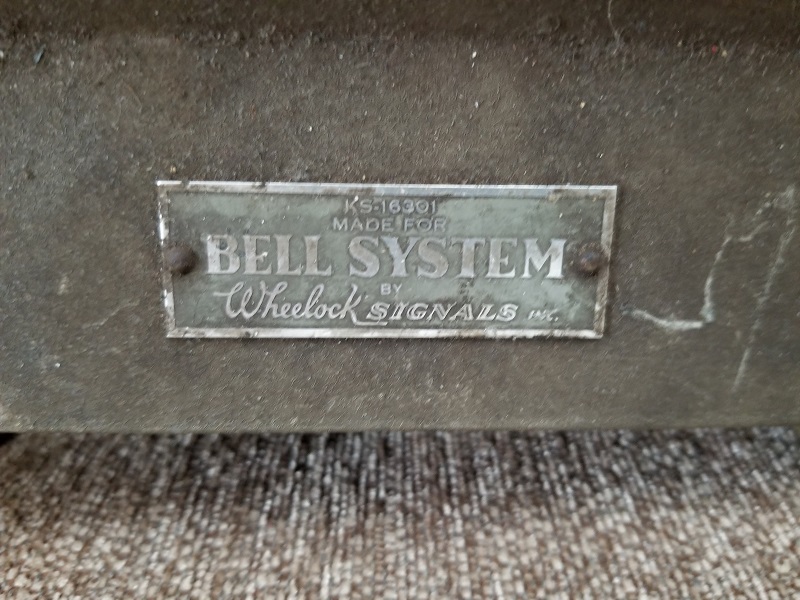 This is my Wheelock KS-16301 telephone ringer bell, manufactured exclusively for the Bell System. 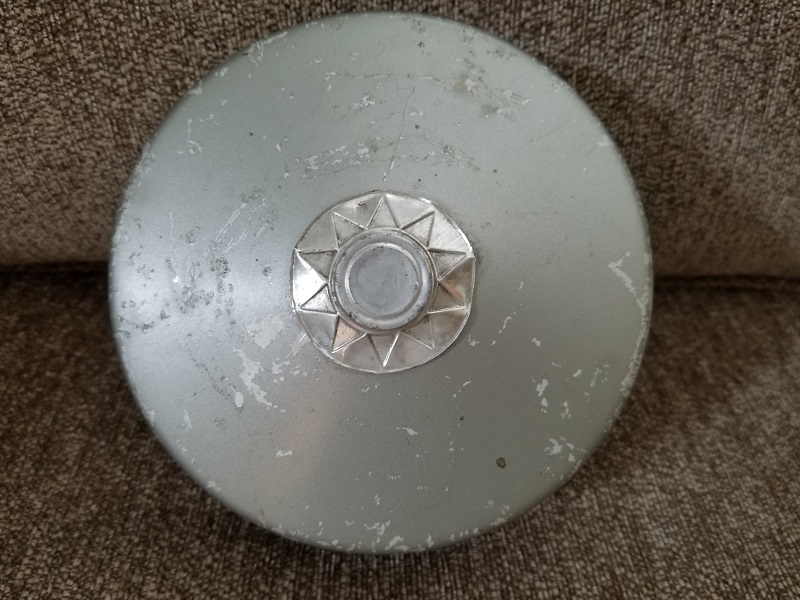 Stevenson High School in Livonia (and possibly Franklin High in the same city) used to have one of these installed, but I never heard it ring. 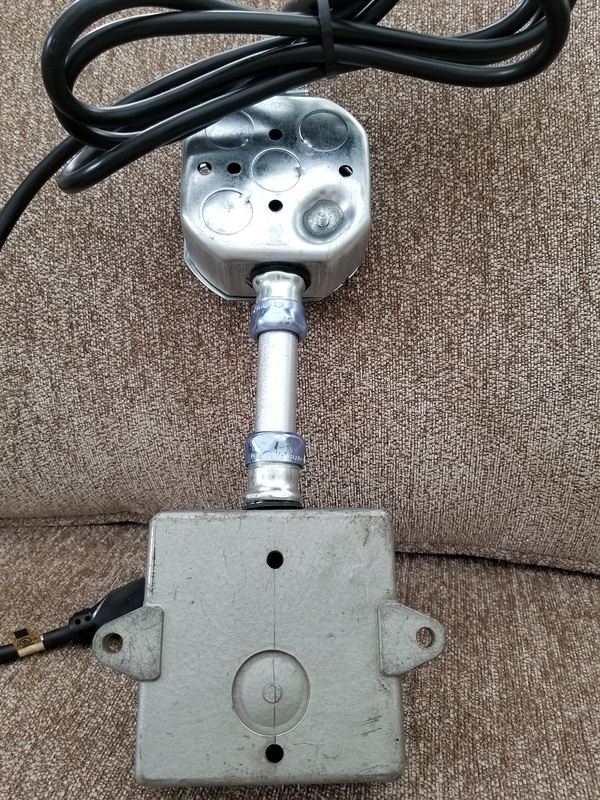 I believe I've also seen one installed outside of a Belle Tire in Plymouth Township, likely used to signal when a car pulls up for servicing. Unfortunately, I have no way of testing this currently, despite having a plug I could insert into an outlet. This is because I need a telephone line to hook it up with, to my knowledge. 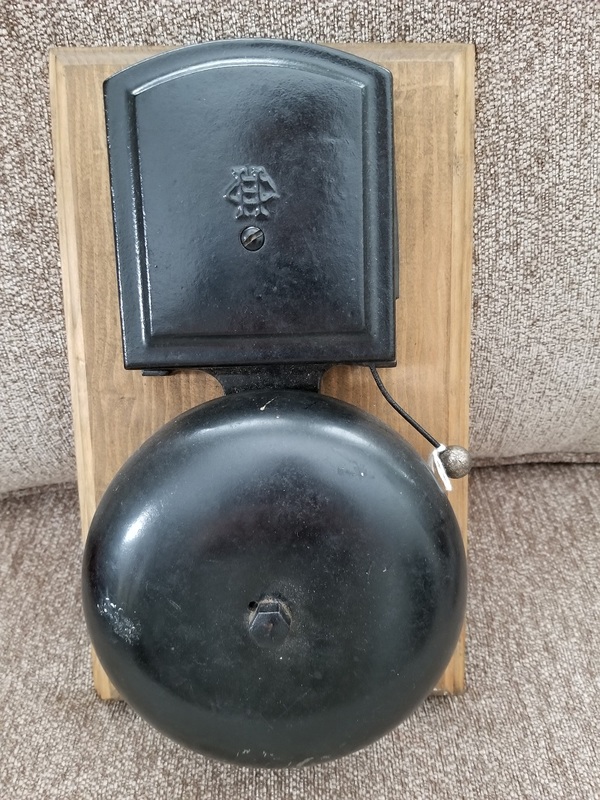 This is my Faraday 346 signaling bell. 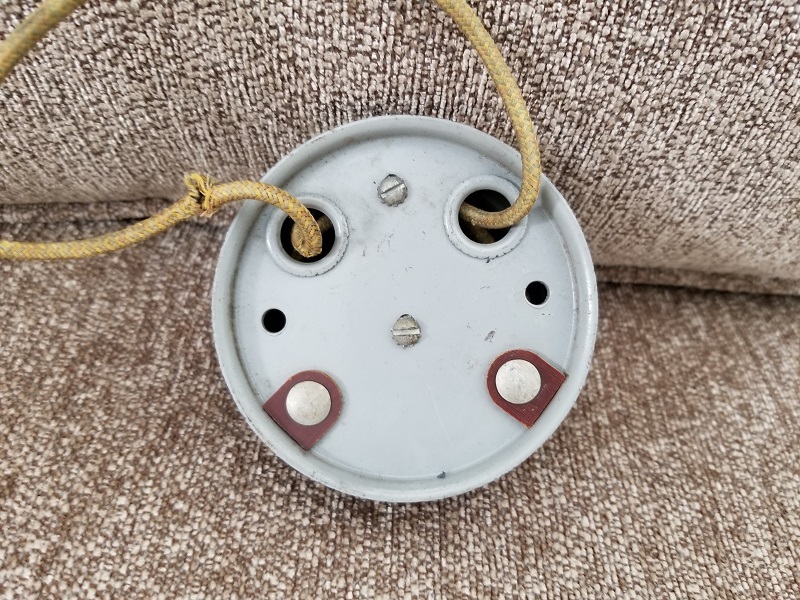 It has a 3" gong, something that is unusual among most general signaling devices. I've also never seen one of these devices in the wild. 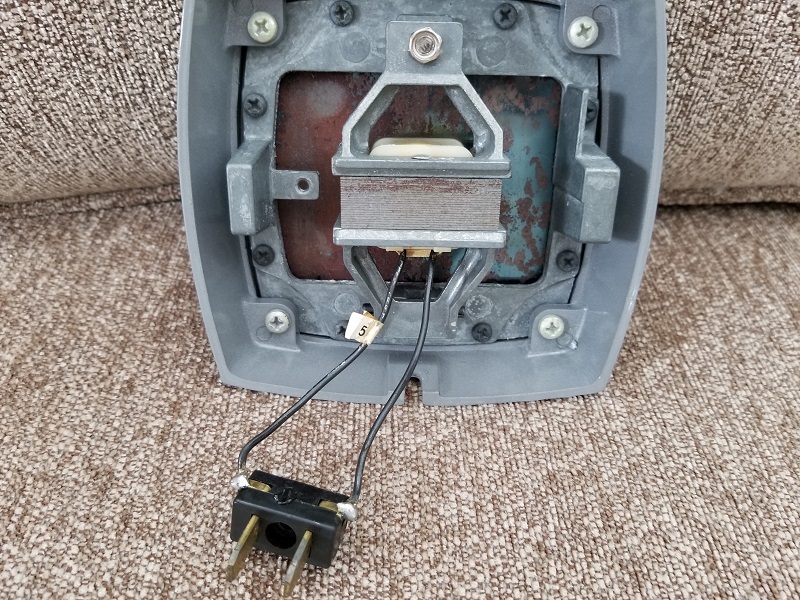 If I choose to test this device at a later date, I might have to rewire the bell because part of the existing wiring is frayed. 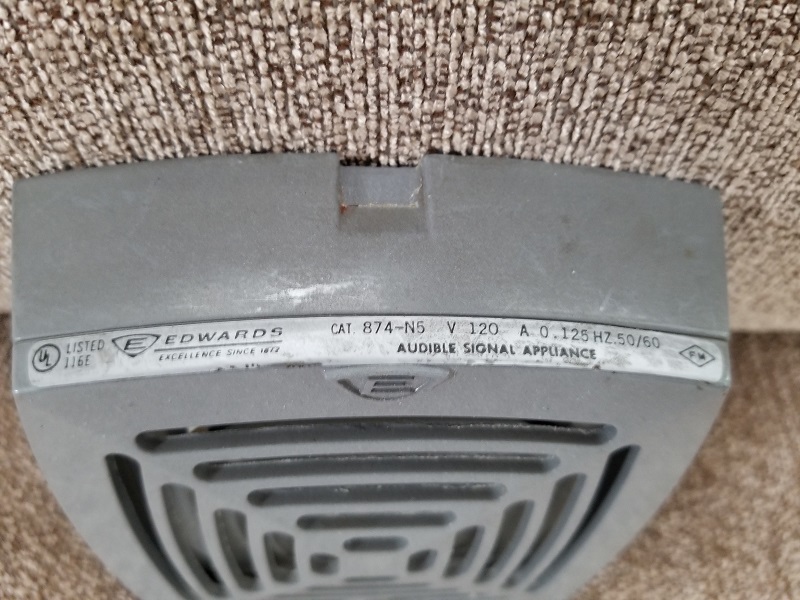 My Edwards 874-N5 horn is a type of horn I haven't seen very often; the last time I saw one of these was at a gas station, as part of a Veeder-Root system. 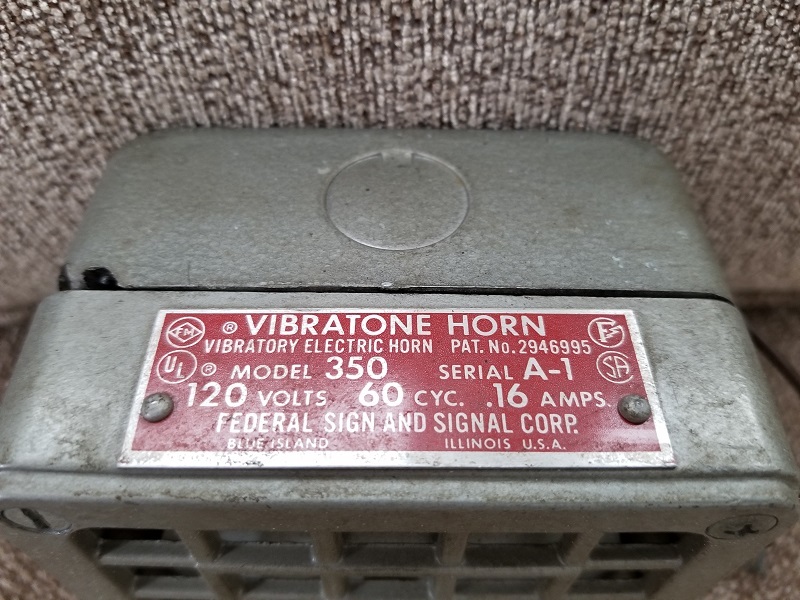 Last, but not least, is my Federal Sign and Signal 350 horn, under the Vibratone series of devices. 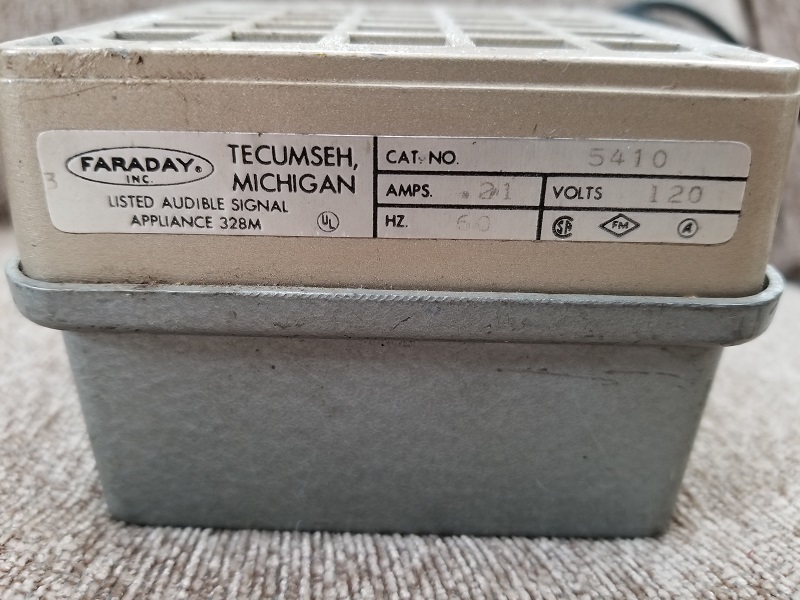 I've seen several of these devices and remnants thereof at Eastern Michigan University; Sill Hall still has them installed (as the flush-mount variant, branded under Simplex), and both Best Hall and the Quirk/Sponberg Theatre buildings originally had the flush-mount variants (under Simplex) also prior to both systems getting upgraded to Faraday voice-evac systems. 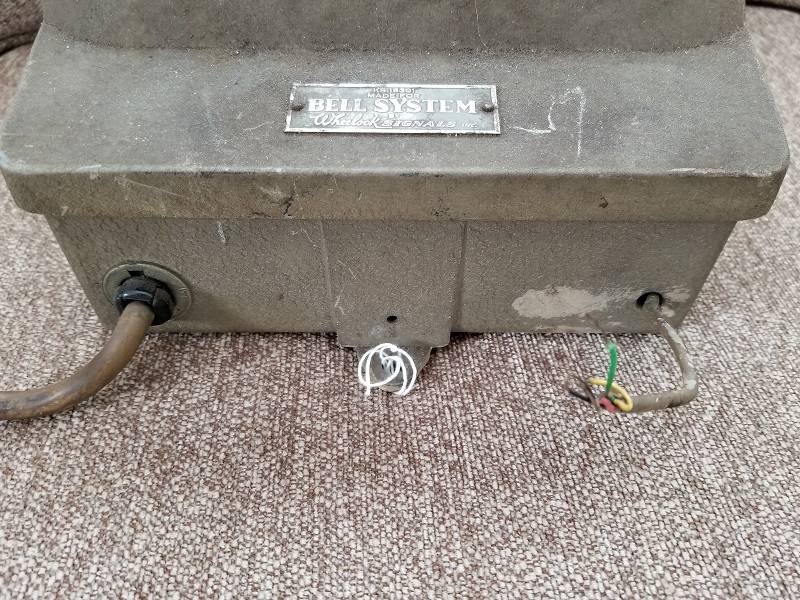 Outside of EMU, both Franklin and Stevenson High Schools in Livonia used to have these horns, and both times, they were rebranded as part of Standard Electric Time systems. Both schools now use recently-installed National Time systems. Really great finds that you got! Great job with all of these! This is my last set of pictures, for now, until I add a new device to my collection. 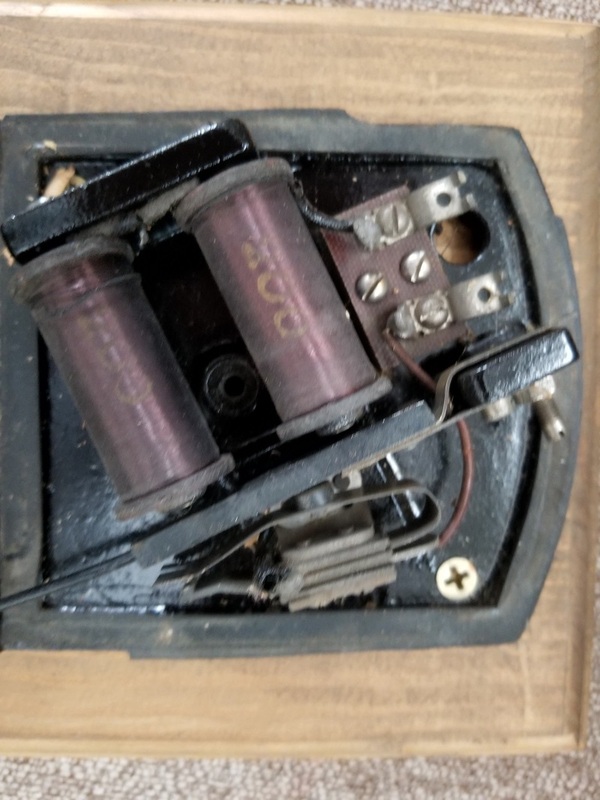 My Western Electric 592A telephone ringer bell is yet another relic of the old Bell System, and both companies shared close ties with each other. So far, this is my only collection piece to have dual gongs. 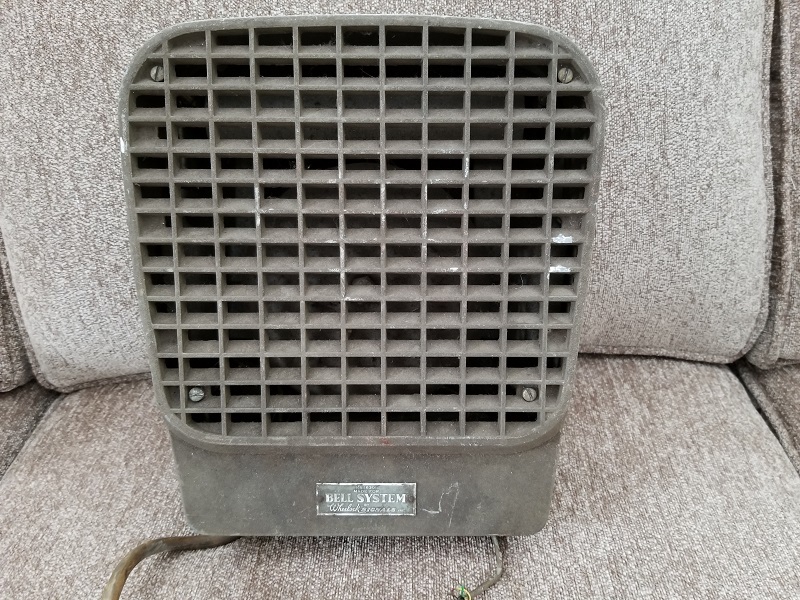 This is my Edwards 340 Adaptabel, which a previous owner had wired up to ring whenever it's plugged into a socket. I plan on posting a video of the device in action soon. Surprisingly, this bell is fairly quiet when it rings. 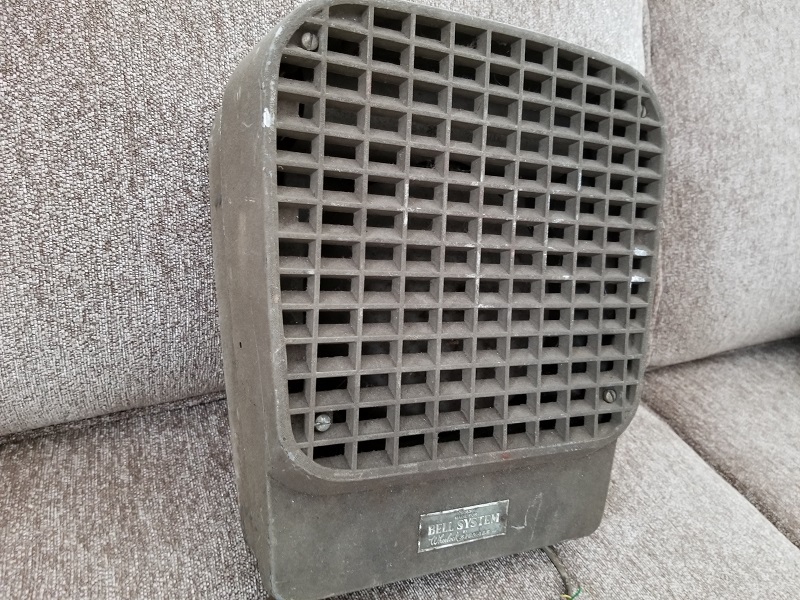 This Faraday 5410 horn, when I bought it, came only with the horn itself and a mounting box. 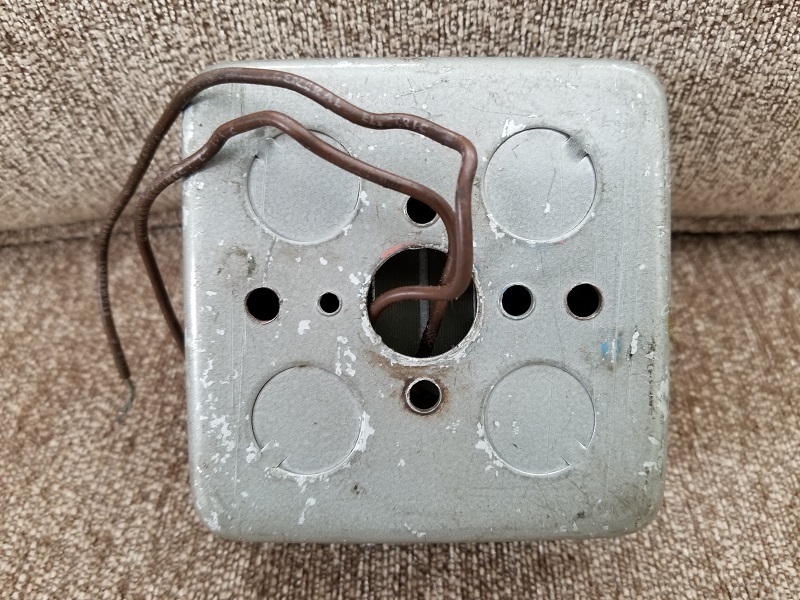 A family member bought a metal conduit; a metal mounting box; a fuse; a push button; and an extension cord; to put all of these together for me to sound off in my free time. 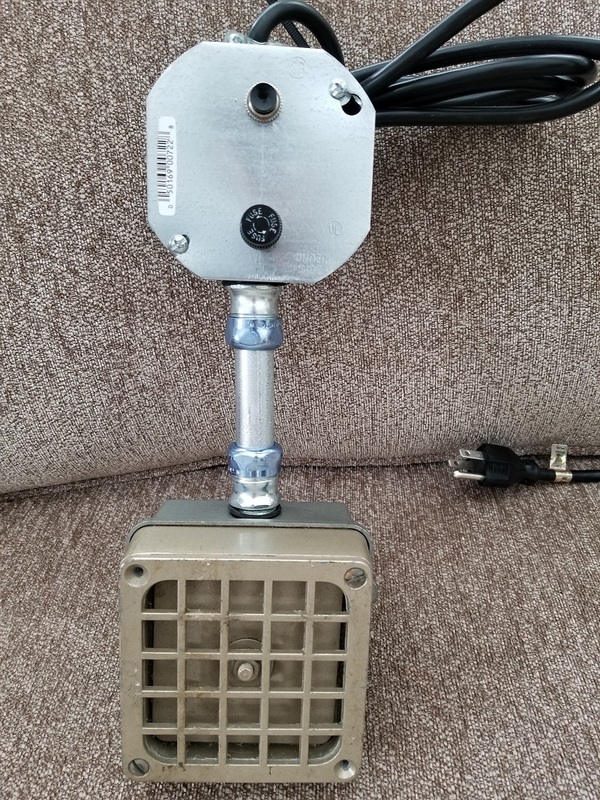 Before, the device had exposed wiring protruding from the mounting box in the back, which was too dangerous for me to hook up alone. 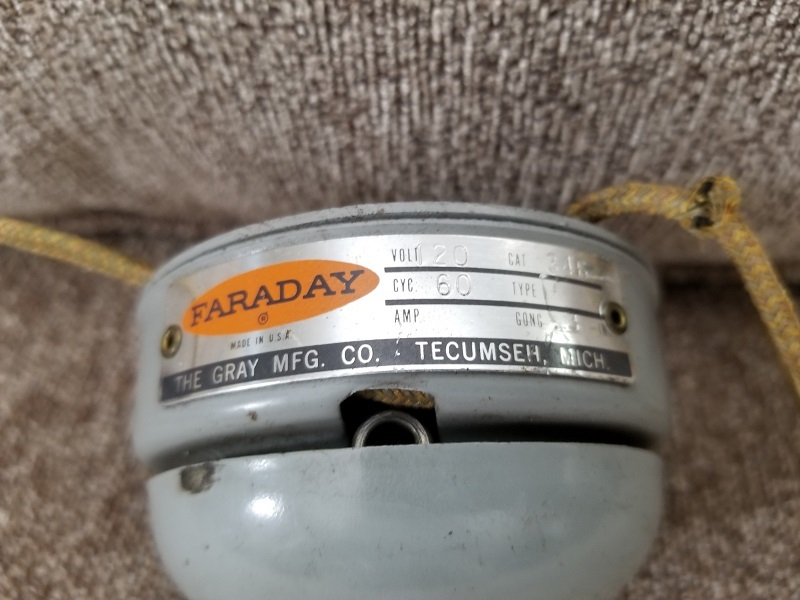 For a little history, Faraday was the original manufacturer of this horn, which would be rebranded by companies such as Simplex and Honeywell. I'll also post a video of me setting it off soon. Unlike the Edwards 340, this device is loud enough that I use hearing protection. 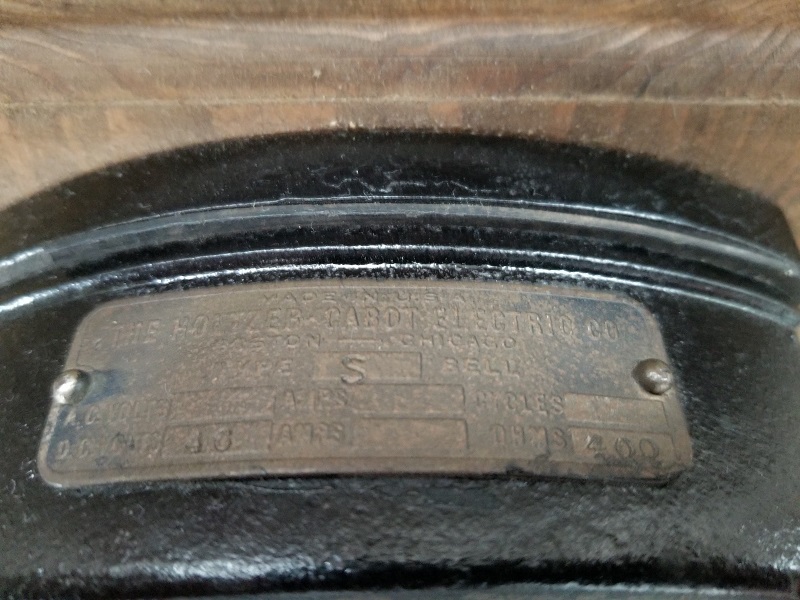 My Holtzer-Cabot Type S vibrating bell, is quite likely, the oldest device I have in my collection. Finally, this is an image of all my collection pieces as of January 22, 2019. There will be more to come soon! These devices that you got are really awesome! You have gotten a great haul! 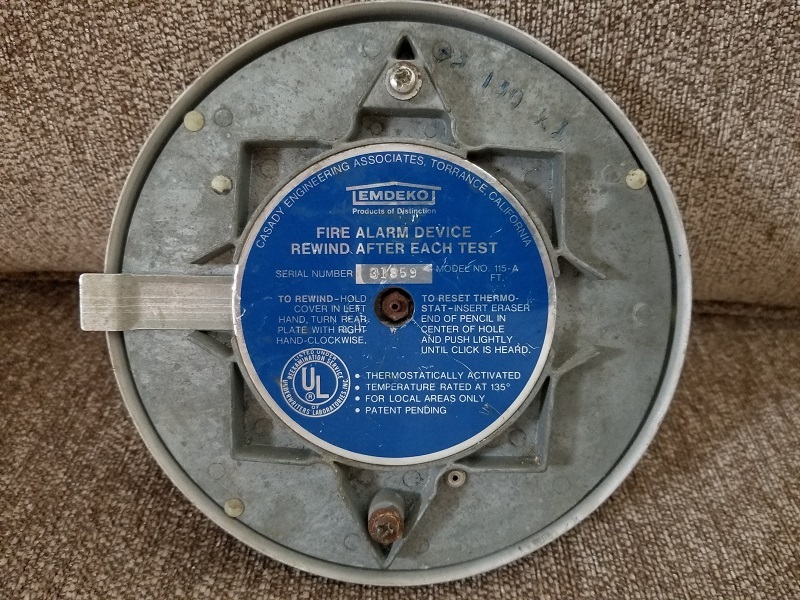 New to the collection is my Emdeko 115-A device, manufactured by Casady Engineering Associates. 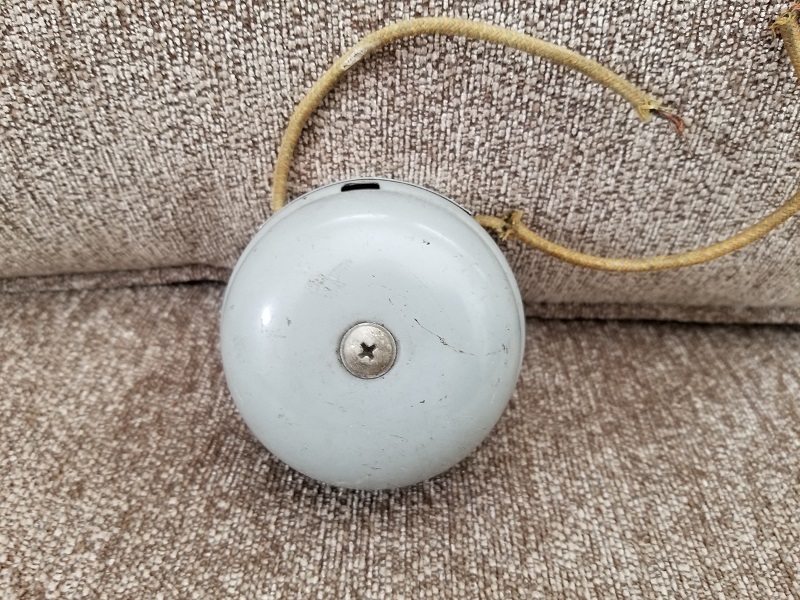 This vintage alarm is a cross between a smoke detector and a fire bell. 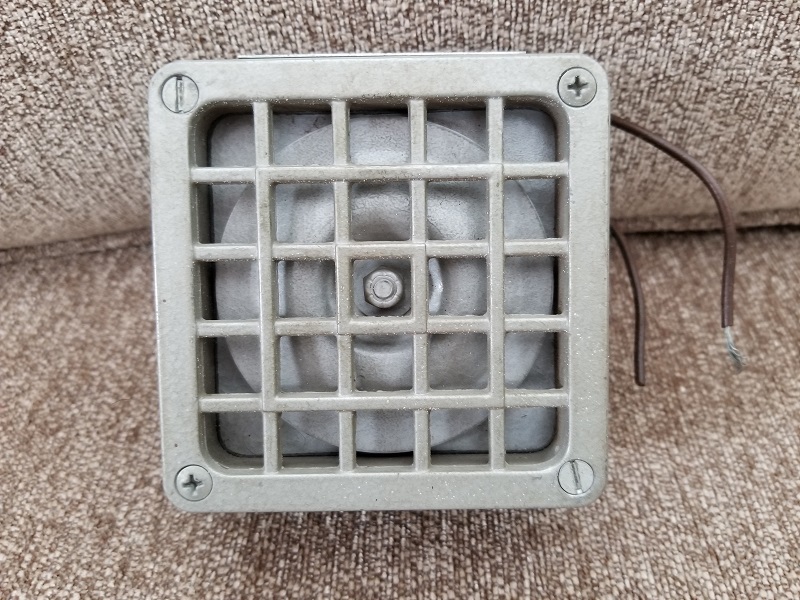 The cover is wound up to set the alarm (like winding up an alarm clock); then, when the enclosed thermostat reaches a certain temperature, the motor starts ringing the bell until the wind-up mechanisms inside reset on their own. 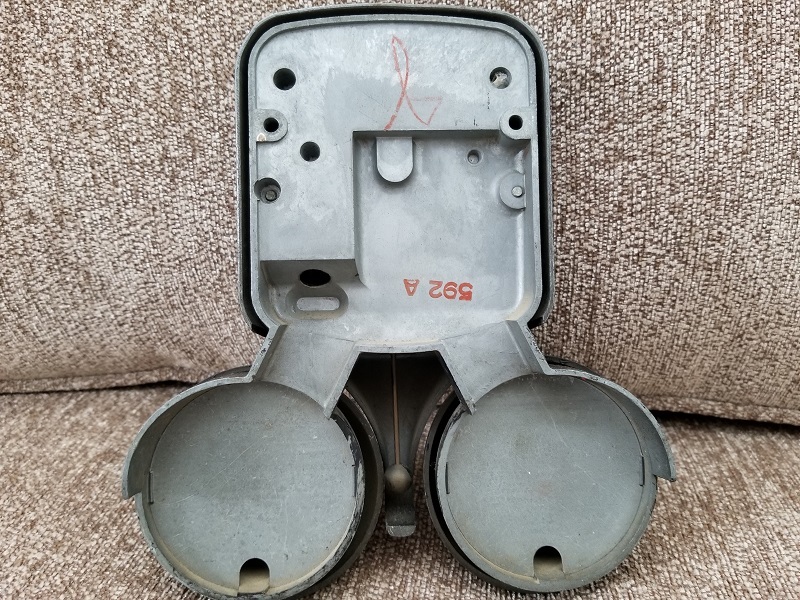 The rectangular metal piece on the left can be pushed down to sound the alarm, also. 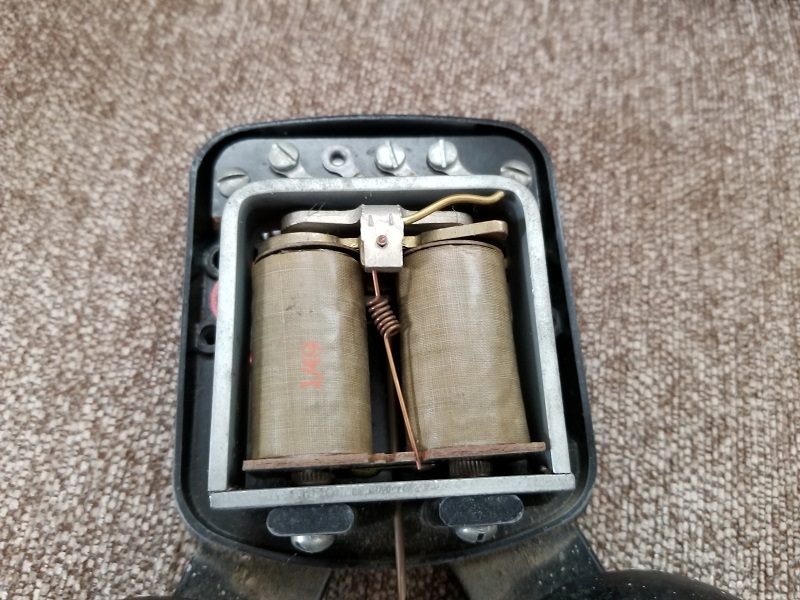 I like this device because for a collector, they can sound it off without the need of wiring it up or inserting batteries. 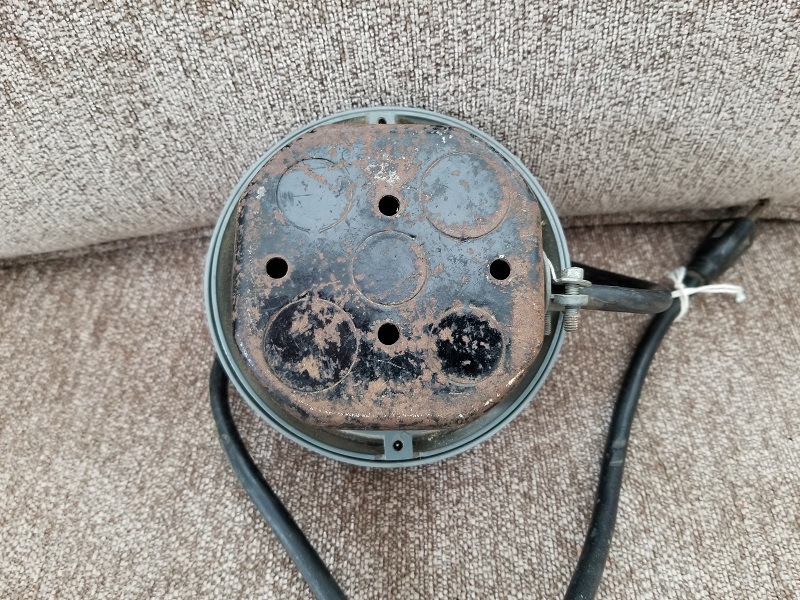 According to the seller I acquired this device from, it originally came from a school. My best guess is that it was used in a small schoolhouse room. I've never seen this device in person before. 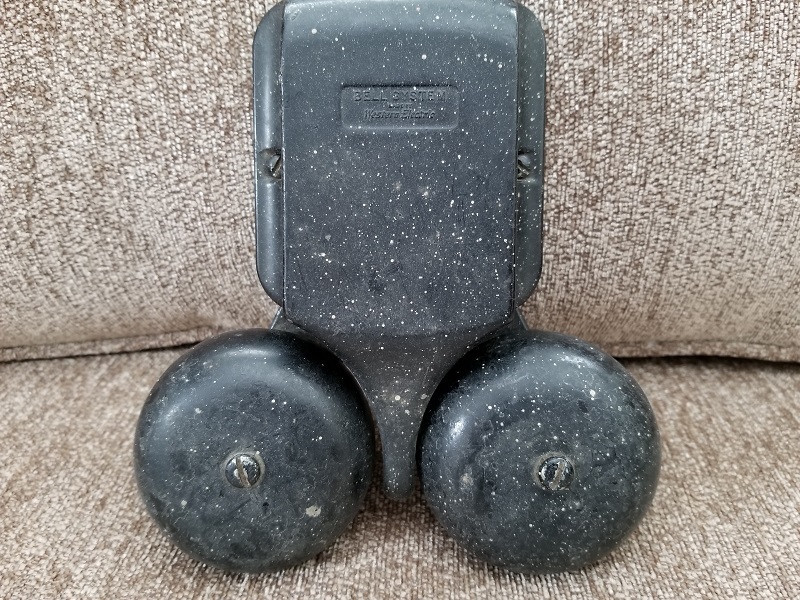 On a more interesting note, the same seller had National Time bells for sale (models P806 and P810F), but they were in poor cosmetic shape when the seller salvaged them from a demolished bank building. Really awesome edition that you got! I like how that alarm looks! Impressive collection, gotta say! Love the big red one. So iconic. You have anything else coming up that you plan to share? I haven't bought any other devices since my last post. I don't have an eBay profile at the moment, and really, I'm not in any sort of rush to expand my collection. 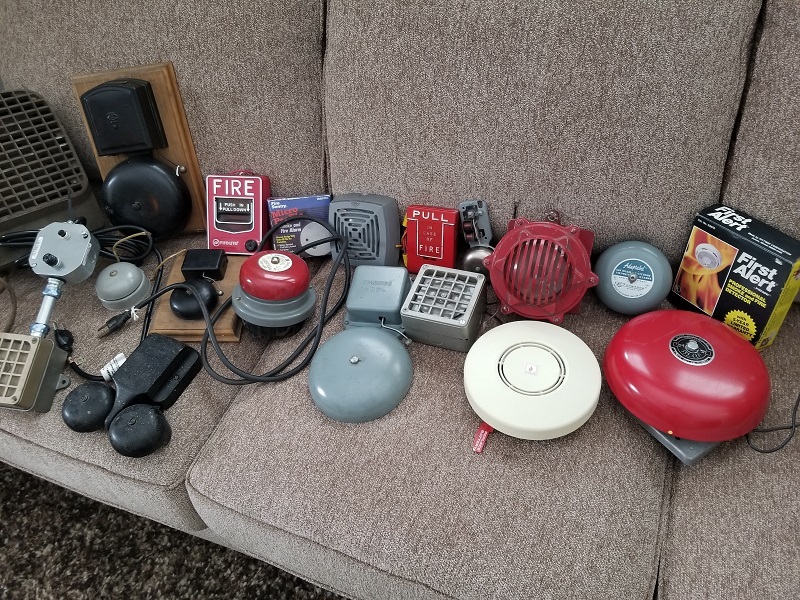 I feel that as time goes on, and I go out to browse more antique shops; flea markets; and the like in the future; I'll gradually buy more devices. 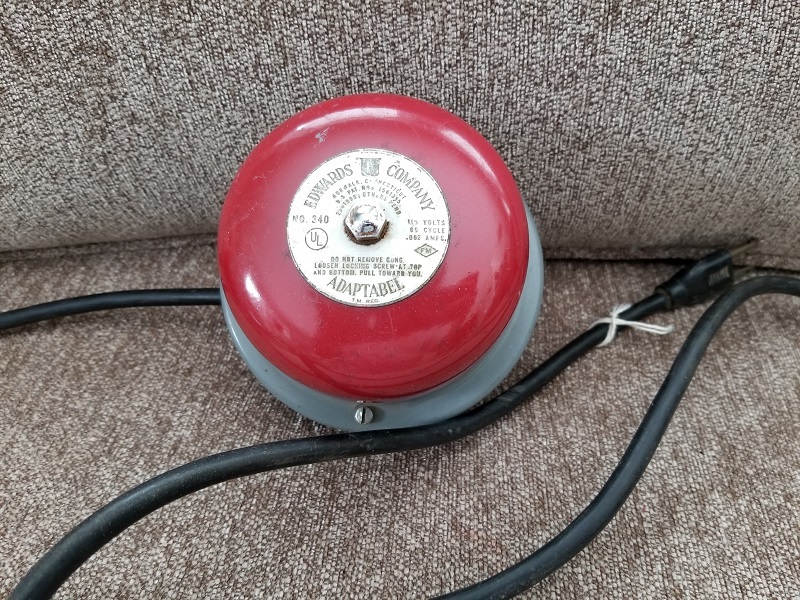 I didn't even know that old fire alarms could be sold to antique shops or flea markets.